January 21st – 27 is cervical cancer prevention week, to promote awareness of cervical cancer and to encourage people to attend their smear tests. 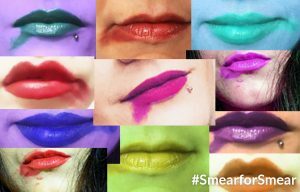 1 in 4 women do not attend their smear tests, however smear testing can prevent up to 75% of cervical cancers. 2 women lose their lives to the disease every day, and 9 women are diagnosed with cervical cancer on a daily basis.